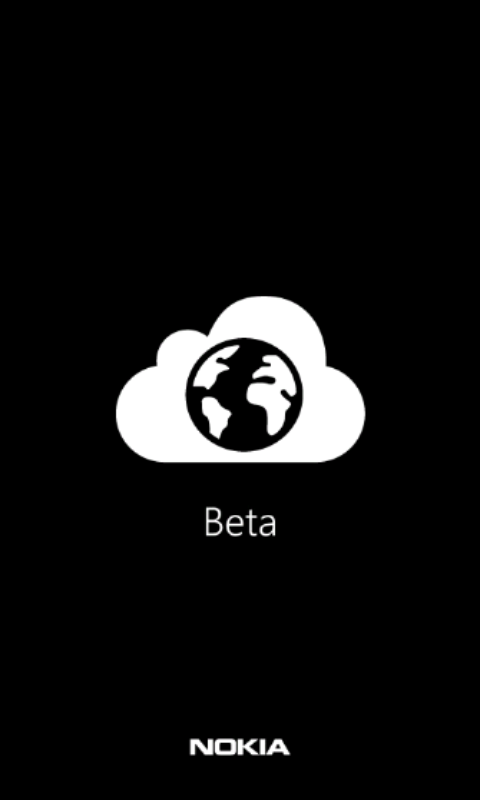 Nokia betalabs released "Nokia Xpress" beta, a fast internet browser only for your Nokia Lumia Windows Phone.
" 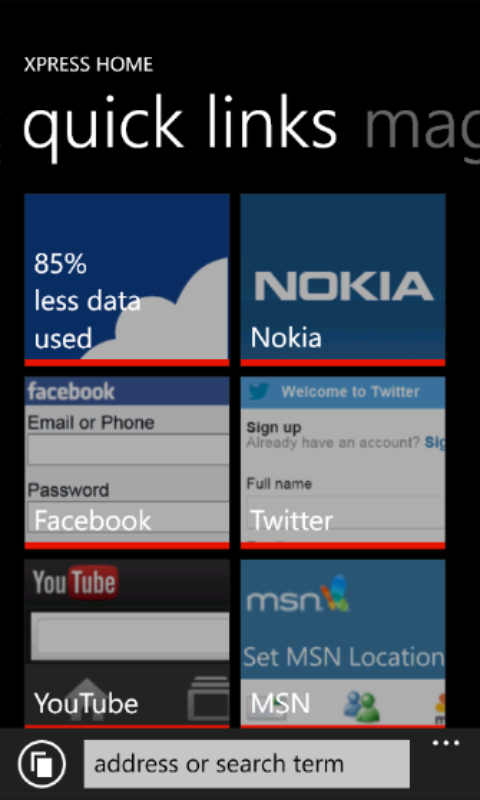 Nokia Xpress for Lumia (Beta) offers a new way to save data, time and money while you find and enjoy interesting web content. 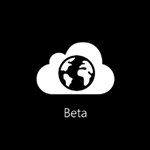 Nokia Xpress, the advanced, cloud-based internet platform is used daily by millions of people around the world to connect to the latest stories & content while automatically optimizing for a better experience and lower data usage." 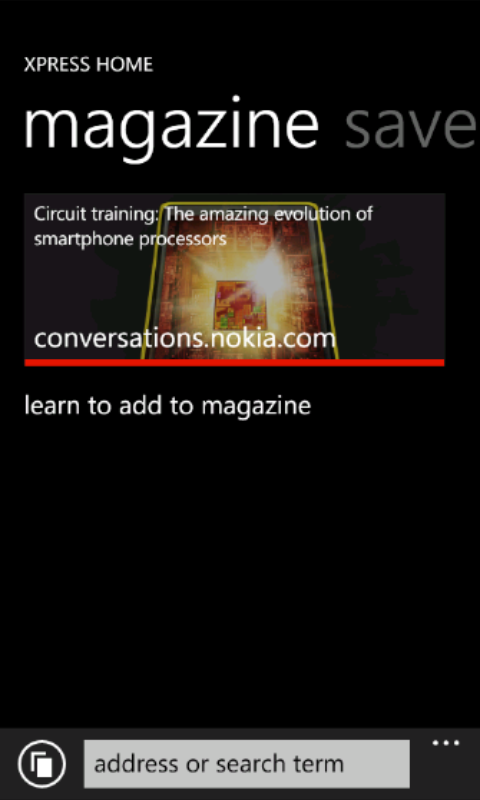 Magazine - Nokia’s unique Magazine feature automatically asks you if you want to add sites with feeds to your collection as you visit them. 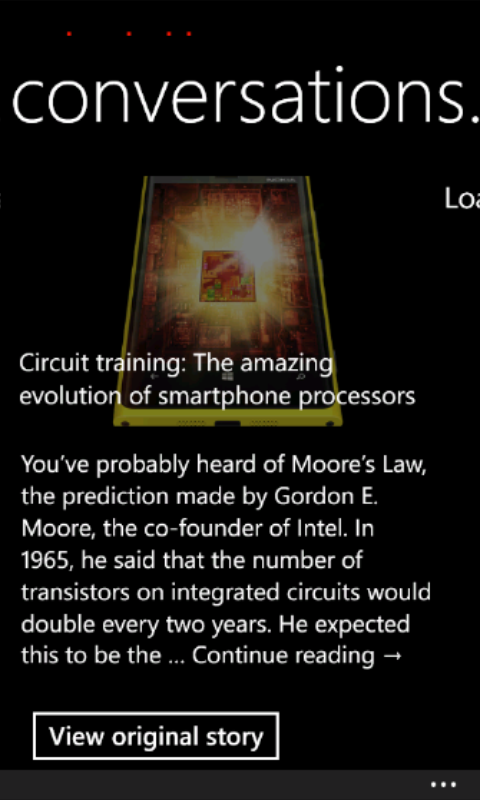 It then presents the feeds to you in an appealing, easy-to-use magazine layout. 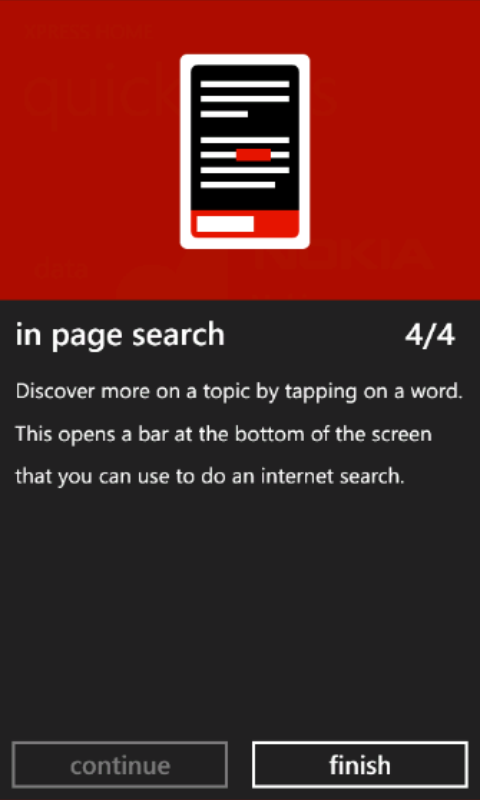 Smart & Easy Discovery - tap on a word that you want to learn more about and Nokia Xpress will discover related content with automatic contextual search for you.